My name is George Snacky. I come from Poland. I live in Drogheda, Co. Louth. When I came to Ireland first, I had plans to stay here for a year but I have been living here for more than 11 years! After a certain amount of years here, I decided to learn more about my country of residence. I thought the best way to do it would be to explore it through tourism. On one of my trips, I visited Galway. The city fascinated me. So when I had the chance to start working with the Eyre Square Market, I just had to say YES! I design and manufacture wicker baskets and other wood-like materials. 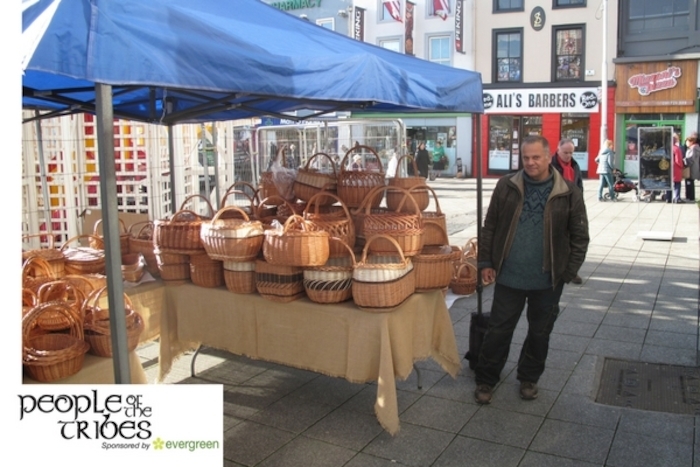 People travel from all around the country to buy my baskets, even with a stall in Drogheda, I was surprised when a woman from there bought one in Galway. I asked her why she bought my basket in Galway and not in Drogheda. She said that Galway is worth the drive and because.....''its Galway''. She is dead right, Galway feels like a home away from home!